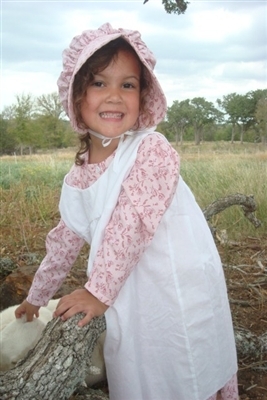 Lovely Prairie Pinafore for girls (dresses & bonnets are available separately). 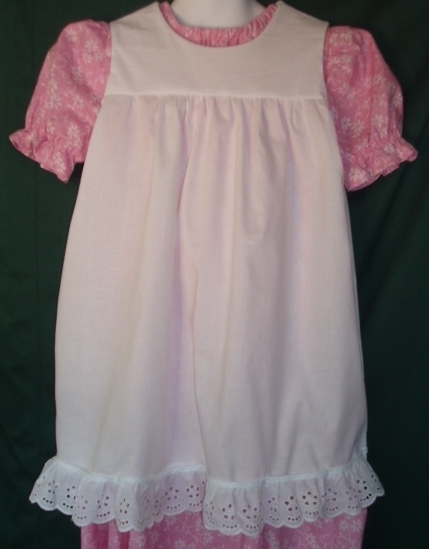 Custom made in white or cream cotton muslin or choose a print here. 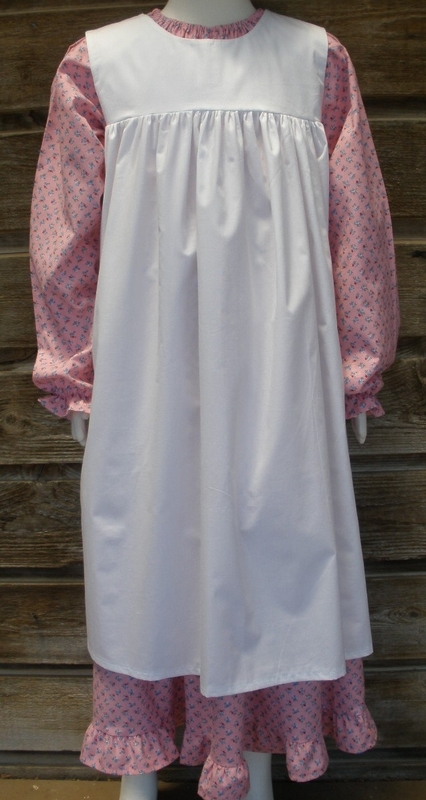 If you are interested in a different color, please email us. Custom orders can take up to 2 weeks to ship, so please let us know if you need them by a certain date.